Posted February 13, 2019 by Coffin Ed & filed under Arts & Entertainment, The Naked City. Congratulations to Kate Miller-Heidke, who has just been voted as Australia’s representative at the 2019 Eurovision Song Contest. As you probably know the public got to have their say this year as to who our chosen singer would be and Kate topped both the popular and jury votes. Regardless of the quality of the warblers we dispatch to fly the flag for Australia in Tel Aviv, the lingering question remains – WHY? Why Eurovision ever allowed Australia into the contest in the first place and why we persist in a cultural charade which is essentially just another manifestation of the dreaded cultural cringe. When Australian actors excel in Hollywood and strut the red carpet at The Oscars, we turn somersaults of jingoistic joy, despite the fact that our own once vibrant film industry has all but collapsed. Likewise Australian singers and bands, despite their popularity and success at home, rise to a much higher level if they are lauded by the American or European public. It’s a stamp of international recognition that we have long craved for all our exports, be they bales of wool, tennis players, bottles of wine, track and field athletes, writers or painters – to name just a few. So we have crashed the Eurovision party, thanks largely to the efforts and enthusiasm of SBS, who no doubt blow a substantial part of their frugal budget on this now annual junket. Whilst record companies like Sony have provided financial assistance in recent years it now seems SBS is taking the entire hit. Maybe increased advertising justifies the cost expended but it can’t be cheap. Surely the sensible thing to do would be to initiate an Asian Song Contest and there have already been discussions over the past few years to formulate such an event. Surprisingly it’s being touted as the ‘Eurovision Asian Song Contest’ with a licensing agreement signed between the European Broadcasting Union and SBS. 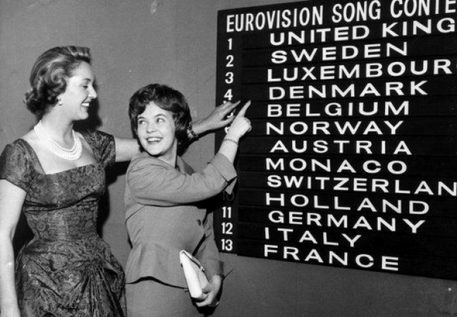 Why we need to adopt the Eurovision model and pay lip service to the name is beyond me. Surely anybody can organise their own song contest without following the often bitchy, flawed, at times super camp and kitsch ridden Euro-model. Judging by the website which is already up and running, the deal has already been made but perhaps it’s not too late to do an ‘Ausexit’ and come up with our own song contest model – at least one that would avoid the politically charged block voting and conspiratorial skulduggery which has long undermined the Euro event. How refreshing it would be to see a shamefully exuberant K-Pop band from South Korea, battling it out with a funky diva from Vietnam, a reggae groover from the Solomon Islands and some of the incredible talent pool that exists in New Zealand amongst the Maori population. Not to mention the latest Voice/Australian Idol/One Hit Wonder from down under! So what happens if the Eurovision Asian Song Contest does get up and running? Do we forsake the original contest to embrace the Asian version or do we hog the limelight and participate in both. God help us if South America or Africa decide to do a Eurovision – Australia will no doubt be clambering to join those contests too!